"CW Hemp announced their that industrial hemp cannabidiol products were listed on the big box retailers website Thursday morning, but by lunchtime the CBD oils had disappeared. CBD hemp oils won’t get you high, but they could help curb epileptic seizures, cure insomnia and treat inflamed joints. But even though the holistic medicine is made from industrial hemp plants and not the THC-producing cannabis buds we imagine when marijuana is mentioned, the CBD products are in a peculiar limbo between mainstream acceptance and supposedly “dangerous” drug; with health food stores across the country carrying the products. And with states around the country implementing federally sponsored industrial hemp pilot programs and hemp products without CBD like lotion and clothing found at major retailers around everywhere, the do’s and don’t’s of the hemp sales are far from cohesive. Nothing has shown industrial hemp CBD’s tenuous status quite like this week’s fiasco between Minnesota-based big box retailer Target and Denver-based CBD company CW Hemp. 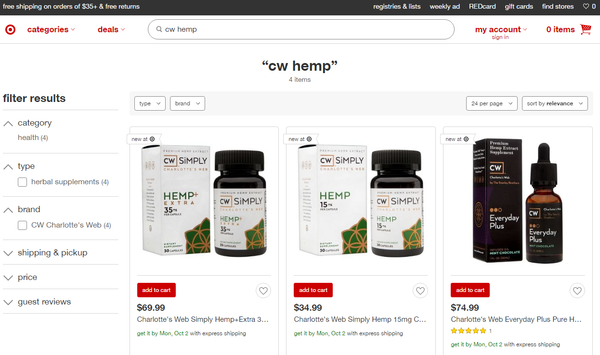 Yesterday, in a move that raised eyebrows in the cannabis community and retail world alike, CW, named for the CBD-rich Charlotte’s Web strain, announced that four of their products, including CBD oils and capsules, would be sold through the major retailer’s online web store. Before Target’s ultimate decision to distance themselves from the sticky situation, the partnership was already causing a stir, with experts calling the collaboration either a move towards the mainstream for CBD hemp products, or a step too far across the legal line for Target. “The market for hemp-based products is exploding and it was only a matter of time before one of the big national chains took the plunge to carry them,” Rod Kight, a North Carolina-based corporate and bankruptcy attorney who authors the Kight on Cannabis blog on legal marijuana topics, told the Cannabist. “Frankly, I thought that the first chain would be a supplement or health food retailer, and am a little surprised that Target is the one. For John Hudak, a Brookings Institution senior fellow who specializes in drug policy issues, the match seemed fishy from the outset. Target removed the products and balked on their cannabis industry presence, but they haven’t apologized, asked for forgiveness or decried the evils of CBD, presumably leaving the door open for future cannabidiol products to end up on Target.com, or in store down the line." 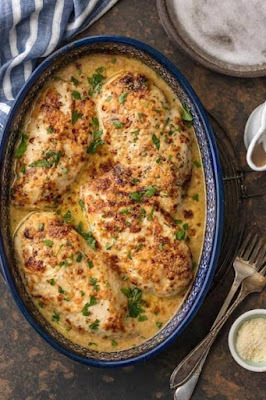 Fascinating to think that we are all on the forefront of a major global health shift and no matter your views on today'c current health practices we are all going to be exposed to many more health concepts in the days ahead.